Rajasthan Day is celebrated every year on March 30th to commemorate the day on which the state of Rajasthan came into existence. Rajasthan Day commemorates the valour, strong willpower and sacrifice of the people of Rajasthan. Rajasthan earlier known as Rajputana came into existence on March 30, 1949. Rajasthan which is the largest state of India in terms of the area, before Independence comprised of around 21 small and big princely states. The princely states were annexed to the union of India on 15th August 1947 but their unification could be accomplished only later. The Maharana of Udaipur decided to join the Rajasthan Union just three days after the formation of Rajasthan Union. 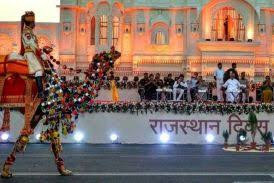 The United State of Rajasthan was inaugurated by Pt. Jawaharlal Nehru on 18th April 1948. States like Bikaner, Jaisalmer, Jaipur, and Jodhpur got merged and formed Greater Rajasthan on 30th March 1949 which was inaugurated by Sardar Vallabh Bhai Patel. Later Rajasthan was further reorganised by the merger of Matsya Union on May 15th, 1949, Sirohi joined Rajasthan on January 26th, 1950 and annexation of Ajmer-Merwara region in November 1956. Later Madhya Pradesh's Bhanpura tehsil and Abu of Gujrat were also merged with Rajasthan. Q. When is Rajasthan Day celebrated every year?